The Corps is managed by a board of Trustees headed by Chair, open to elections every three years. The board of Trustees are made up of uniformed volunteers in addition to other non-uniformed volunteers. The National Council is the Corps' governing body and the trustees of the charity, responsible for ensuring its lawful and responsible control and use of resources. The Charity is unincorporated, its Constitution being set out in the Corps' Rules and Regulations. Its entry on the Charity Commission register can be seen by clicking here. The National Council currently comprises 11 people (ten trustees, and one non-trustee), both uniformed and lay members, to provide a balance of views and experience. All have specific areas of responsibility in addition to those of National Council membership and trusteeship generally. 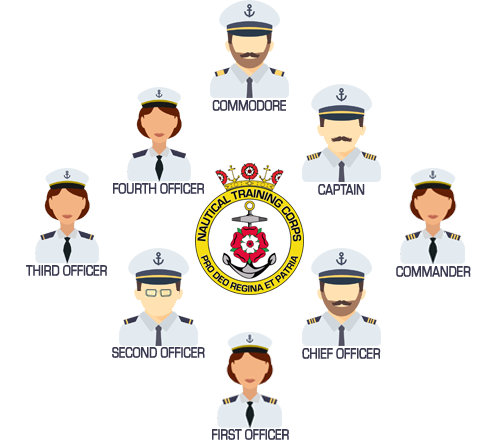 The Charity's main officers are the Chairman, Commodore, Chief of Staff, Treasurer and National Secretary. The National Council formally meets quarterly, with department heads co-ordinating and working with Corps members between meetings. Meetings, which are open to members of the Corps, are normally held at the NTC's National Headquarters (NHQ). NHQ is located at our National Training Centre, in Littlehampton, West Sussex. 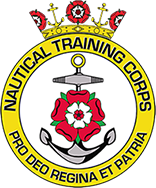 The Nautical Training Corps' day-to-day operations are managed by a team of uniformed officers. They meet together as the National Operations Committee, and work with the National Council to ensure the high standards of the Corps are maintained, and always driven higher. Although our highest ranking officer is the Commodore, the Corps is actually largely directed by the Chief of Staff. The Chief of Staff oversees several Chief Staff Officers (known as Regional Commanders) who each manage a region. Each region comprises of between three and six units which are all run by a 'Commanding Officer' and a 'First Lieutenant'. To support and aid the Chief of Staff, Regional Commanders, and Commanding Officers, there are also a range of National Department Chief Staff Officers. Their role is largely to advise and set policy in key areas such as safeguarding, ceremonial matters, cadet and adult training, and administration and resources. There is also a Chief Staff Officer that is responsible for advising on Health and Safety matters, although all safety matters are ultimately directed by the National Council. Another National Department is the Department of Inspections. This department are responsible for regularly inspecting units to ensure that standards are maintained, and to provide support where necessary. Units are inspected in areas like safeguarding (child protection and health and safety), financial management, training, and uniform. Where support is required, the appropriate National Department would also provide support. The Chief of Staff, Regional Chief Staff Officers, and National Department Chief Staff Officers all meet to form the National Operations Committee. 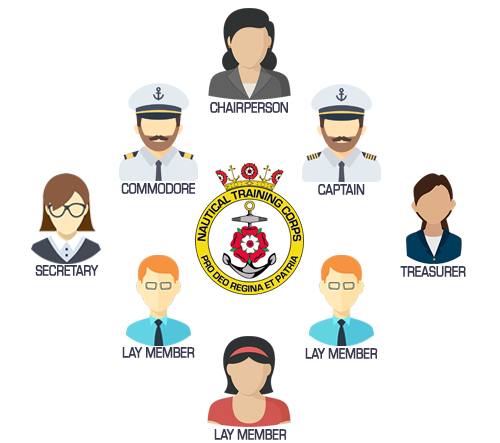 The committee itself is chaired by one of our trustees, a Vice Commodore, who relays information between the National Council (trustees) and the National Operations Committee (day-to-day managing uniformed staff). Ultimately, the Corps' command structure is there to support and guide units in achieving their full potential, and to maintain the high standards set by the Corps. National Headquarters is a building that serves as the main base of operations and serves as the organisations main offices for administrative and training staff, including Resources Department. National Headquarters takes responsibility for the overall success of the organsisation and is also referred to as the NHQ.